Folktronica is the kind of genre-mash that you think is a terrible idea until you hear it work. With "Candy", the third track on the new LP Foreign Life from Ottawa's Pony Girl, it works so well because the mash creates an atmosphere instead of stealing the show. Its form is like a vaccum holding two voices in unison. 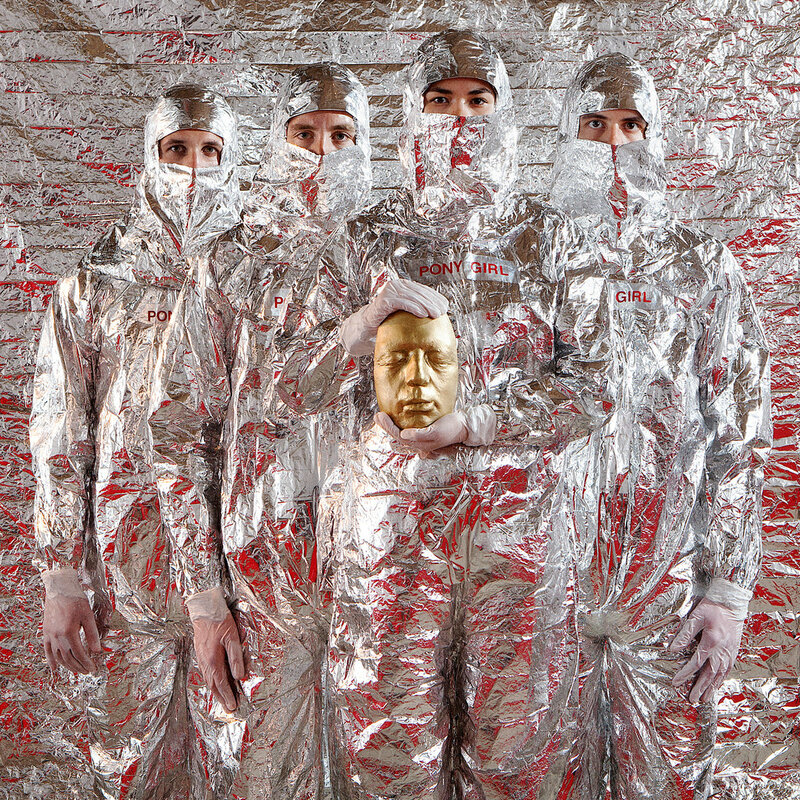 Like the tinfoil spaceman album art, there's a kind of weightlessness to it. The song is built around some acoustic guitar strumming, but it's the synth underneath, adding all its texture, that makes the song. With a six-piece band, this restraint is all the more interesting. Foreign Life is out Nov. 7 on So Sorry Records.